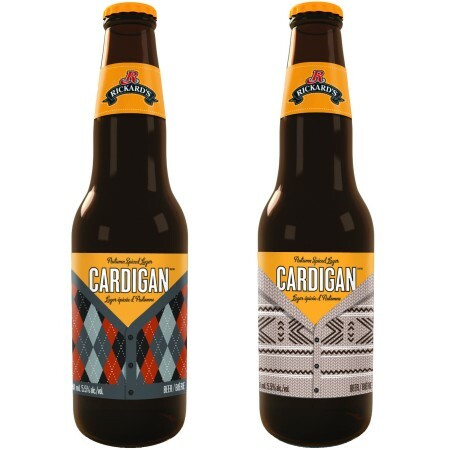 TORONTO, ON – Molson Coors Canada has announced the release of Rickard’s Cardigan, the first ever seasonal beer in its Rickard’s brand portfolio. An autumn spiced lager infused with seasonal spices of cinnamon, nutmeg, clove and a hint of brown sugar, Rickard’s Cardigan features fall flavours that are as familiar as putting on your go-to knit. Rickard’s Cardigan will be available in liquor and beer stores across Canada in 6 packs, with release date and price varying by province. Wondering when Rickard’s Cardigan is going to be available in Ottawa, so excited to try!! Tried Rickard’s Cardigan today at Sticky Fingers in Barrie, Ontario. Very nice!!! As the owners of Welsh Cardigan Corgis, would love to know where we can get beer glasses with the Cardigan name on them.